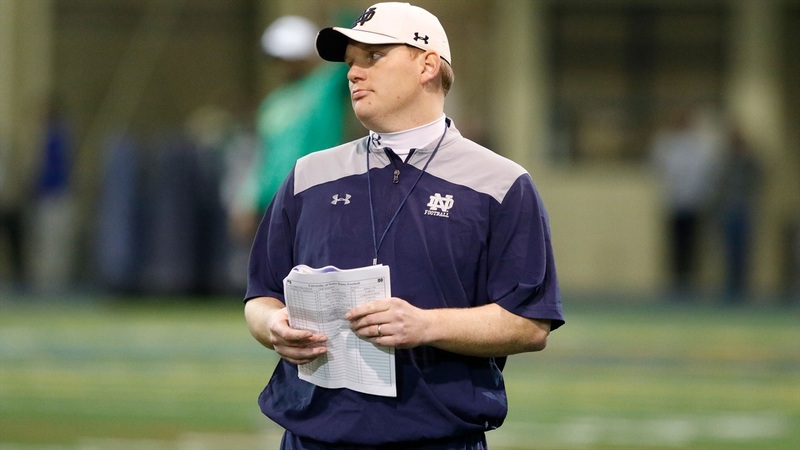 Notre Dame offensive coordinator Chip Long spoke following Thursday's practice, the final of the spring for the Irish. “Even right when we got back from the bowl game, that whole group has taken ownership. A lot of those guys were very lucky, Robert Hainsey, Tommy Kraemer, young guys who played a lot. They got to see the great leadership from Mike and Q. Really carried it on, last year with Sam and Alex. There’s been a great tradition in there with leadership.